At Bath Planet of Southern Tier, we’re a family-owned, locally based company—which means we always put our customers first. To make our exceptional bathroom remodels possible for every family in Elmira and surrounding Southern Tier areas, we focus on reliable services at fair and competitive prices. 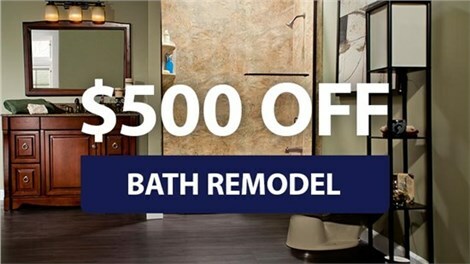 For a limited time, our already low prices are even lower when you take $500 off any bathroom remodel! And when we say “any,” we mean it. Whether you need an accessible walk-in tub, a deluxe shower system, or complete shower-to-tub conversion, we’ll do the job right for $500 less than our regular price. 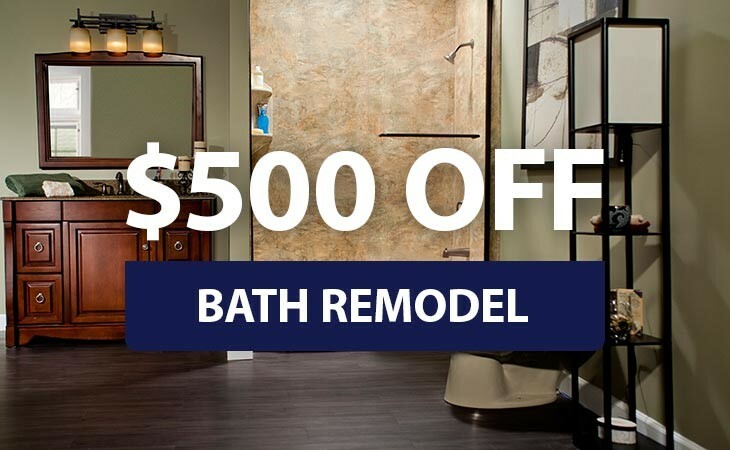 Get in touch with Bath Planet of Southern Tier today to find out how you can save big on any remodeling job! Call us to speak with a friendly representative, or take a minute to complete our online form and request your free consultation and cost estimate.